Talk to a lawyer for Free 24/7 (314) 361-4242 :: We’re located Near You! 20+ Years of Experience & Thousands of Cases. Many people driving cars and trucks simply don’t look for bicycles and accidents can be serious. Bike riding provides numerous benefits to both cyclists and society. However, a significant drawback to cycling is the danger posed by negligent drivers. When a car or truck strikes a bike, the cyclist’s injury is usually severe, resulting in brain damage, spinal cord injuries or broken bones. At The Hoffmann Law Firm, L.L.C., our law practice is focused exclusively on helping injured people achieve financial recovery. We concentrate on accidents caused by motor vehicles, including bicycle accidents. 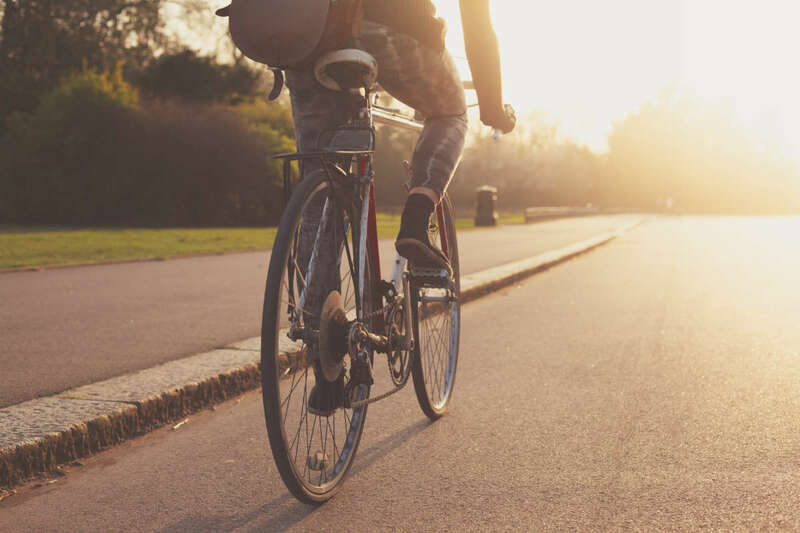 With more than 20 years of personal injury experience, attorney Christopher Hoffmann has the knowledge and skill needed to obtain maximum compensation for your bicycle accident claim, whether through negotiations with the insurance company or at trial. Cyclists are protected by laws regulating the use of bike lanes. Since cyclists have the same rights as drivers of motor vehicles, cyclists can use the middle part of the traffic lane unless they are prevented by other laws. Cyclists should inform the insurance adjuster about this situation when discussing an insurance claim. Liabilities in accidents involving cars and bicycles are determined by the following rules. A person opening a car door will nearly always be at fault since the law requires a cyclist to pass close to cars that are parked and doors cannot be opened unless it is safe. Motor vehicles are required to provide a three-foot space while they are passing. However, it is not easy to be accurate in recreating an incident. This situation is further made difficult when it comes to trucks, buses, and SUVs. Motor vehicles should avoid passing cyclists using the road unless it is already safe. Motorists should slow down and wait for a good opportunity to pass and cyclists are not required to allow the motorist to pass except on the far right lane. An adjuster may inform a cyclist involved in an accident that he or she was not as far to the right as necessary, to which the cyclist can reply that the motorist should have waited for a safe opportunity to pass. The width of the bicycle and traffic lane should be measured if the vehicle that hit the cyclist is wider than a standard vehicle. The cyclist can have an advantage in the claim if the extra width of the vehicle makes passing safely a difficult thing to do. A car turning right is among the most common type of accident involving cyclists. Cars may slow down while making a right turn into the path of a cyclist or simply turn right without seeing the cyclist. The motorist is at fault in these instances since the vehicle can only turn when it is already safe to do so. The side-of-the-road rule gives cyclists the privilege to continue driving through intersections without stopping for right-turning motorists. Many people driving cars and trucks simply don’t look for bicycles or believe that they don’t belong in traffic. In Missouri, however, bicyclists have the right to travel on the side of the road as long as they are abiding by the traffic laws. When handling a cyclist injury claim, we interview witnesses, gather evidence and work with seasoned investigators to identify who was at fault. We also analyze damage to the bike and car and examine the accident scene. We then prepare a strong case that proves the fault of the driver in causing the bicycle accident. We regularly retain the services of some of the top medical professionals in the St. Louis area. These experts offer testimony regarding the extent of our client’s injuries, the costs of past and future medical treatment, and any permanent disabilities resulting from the bike accident. If you or someone you love has been injured in a bicycle accident, call (314) 361-4242 or contact us online. At The Hoffmann Law Firm, L.L.C. you never pay attorney fees unless we recover compensation for you.